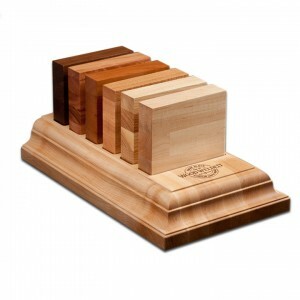 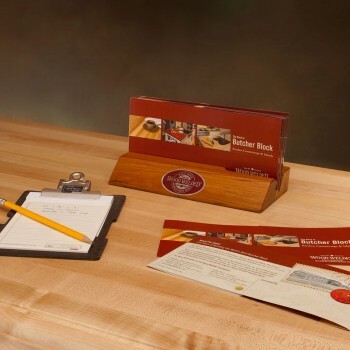 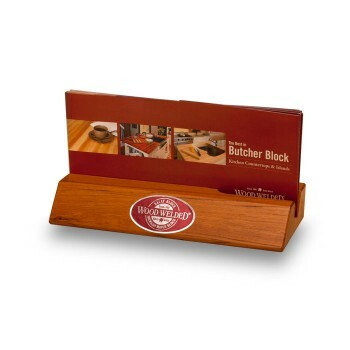 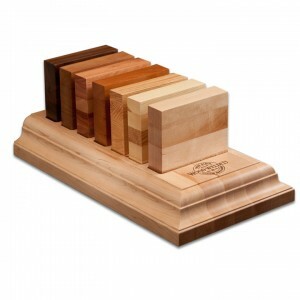 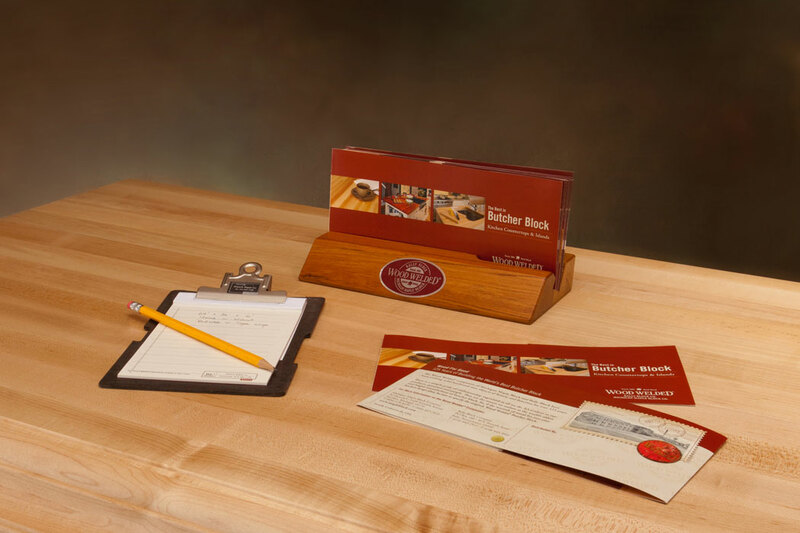 The “Take With” brochures are a quick-reference guide for residential butcher block countertops and islands in a compact, 4″ x 9″, standard rack card size. 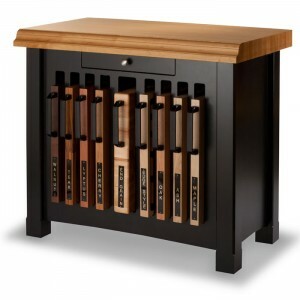 The handsome display unit is machined of butcher block and accommodates approximately ten brochures for convenient display. 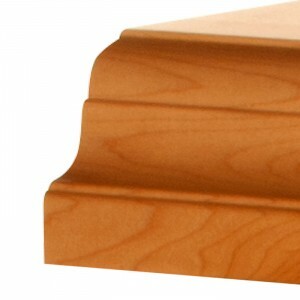 Compact and perfect for placement on a showroom top.